Mason ISD has received many awards and honors over the years for being outstanding in and out of the classroom. This page shows many of the awards and honors we have received over the years. Our district is grateful for the dedicated teachers, coaches and sponsors who work with our intelligent, competitive and hard working students. Without the work of all of these amazing people, we wouldn't be the great district we are. Mason ISD received an A rating by the Texas Education Agency for the 2017-2018 school year. Mason High School received all 7 Distinction Designations. MHS was the only high school in Region XV to receive this honor. 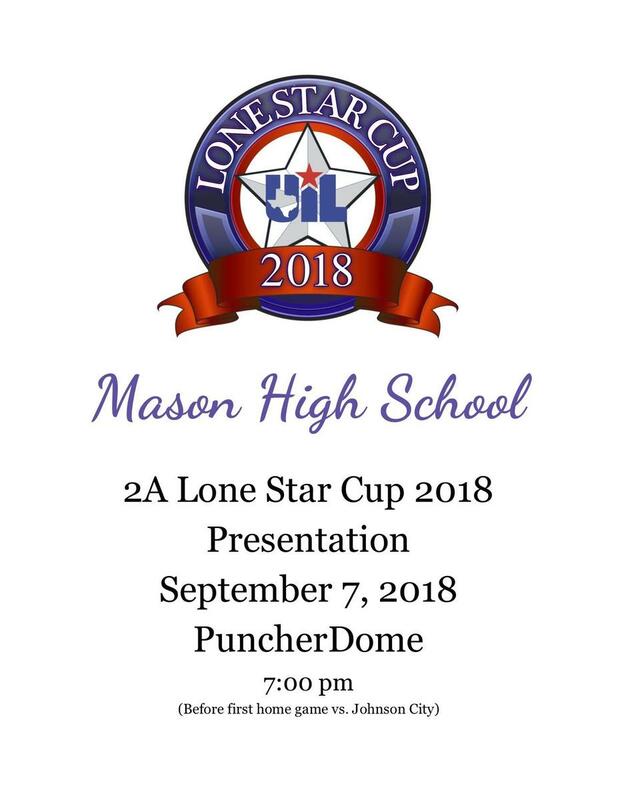 Mason High School received the coveted Lone Star Cup award for the first time in school history! The trophy and scholarship presentation will take place on September 7th at 7:00pm before the first home game vs. Johnson City at the PuncherDome.